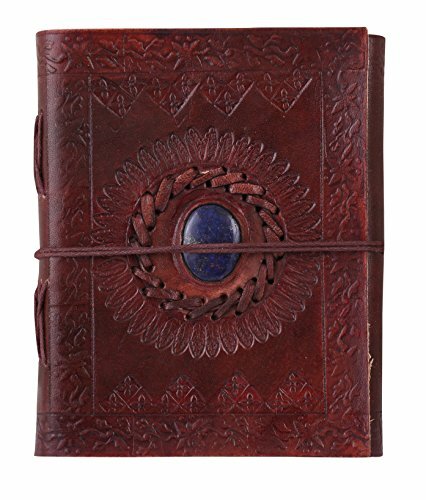 100% Genuine Leather Journal notebook Made in India we work closely with designers to develop their concepts of leather goods. we are able to capture the essence of our customers' ideas and make products that match the required look and feel of the brand. we believe that traveling can be of the most rewarding and life changing experiences possible. As we are also avid travelers ourselves, we take pride in designing high quality travel products to enhance those experiences. That's why we want our customers to be able to capture their valuable memories and thoughts while they're on the road with this Genuine Leather Travel Journal with Refillable Notebooks. We put every product we sell through strict inspection to ensure quality, durability and function. If a product doesn't meet our standards, we don't sell it. We only design travel products that we will use ourselves and will be proud to gift to family and friends. Based on these values, we use only the highest quality materials and finest handmade craftsmanship to ensure all our customers get the best product possible. JOURNAL: Diary is perfect for poets, artists, writers and designers! Pocket Size Journal, Travel Journal & Refillable Notebooks Paper is produced using Cotton Bio-Mass and is also acid free. Any kind of pen and pencil can be used on this paper. 200 Pages (counting both sides). USE: Helps you organize your Thoughts, Plans and Ideas on your life's journey. Record your valuable thoughts, memories and experiences in this classic notebook. The must-have item for a diary, travel journal, poem-writing, creative writing, listing ideas, making sketches & drawings. If you have any questions about this product by ADIMANI, contact us by completing and submitting the form below. If you are looking for a specif part number, please include it with your message.